The 1850's homestead at Zapata Ranch has a tons of character and endless photo possibilities - there's this one spot that I keep coming back to. The thickest cottonwood I've ever seen frames the front windows of a house that's been added on to many times. I imagine the part in this image is original and is very well-preserved in the arid San Luis Valley. 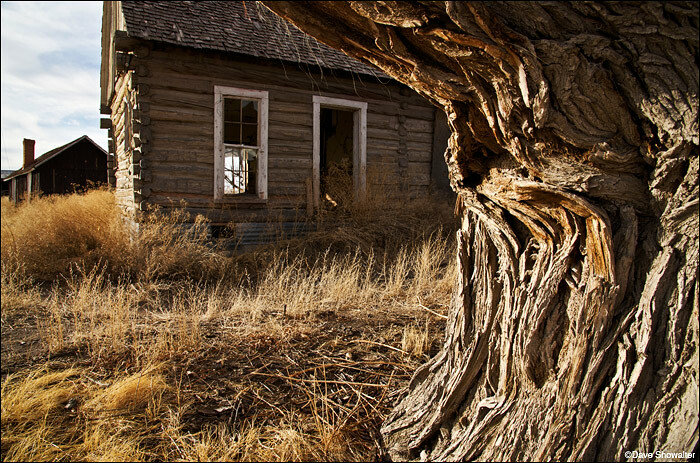 I chose to emphasize the texture in the old tree to frame the historic buildings, and imagine that someone planted this tree and built the house by hand a very long time ago. Photo © copyright by Dave Showalter.